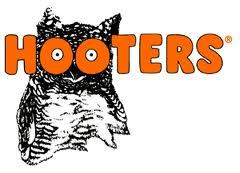 Hooters is still looking for its proverbial 15 minutes of fame. The self-proclaimed "nearly world famous" chain, which has outposts locally in Bensalem, Glen Mills, King of Prussia, Wyomissing, Atlantic City, Lawrenceville, New Castle and Newark, now has a gluten-free menu focused on seafood and salads. Burger.org has opened its second Philadelphia location in Center City (1901 Chestnut St., 215-569-9555). The kosher spot's gluten-free burgers (from beef to veggie) can be wrapped with lettuce and the fries are cooked in a dedicated fryer. Also in Philly, the menu at new Mexican restaurant La Calaca Feliz (2321 Fairmount Ave., 215-787-9930) - a sibling of Cantina Feliz in Fort Washington - is largely gluten free through the use of corn masa and rice flour. After a community fundraising effort, Food For All Market in Mt. Airy (7127 Germantown Ave., 267-297-7122), which specializes in serving gluten-free customers, will not have to close after all. (You can read owner Amy Kunkle's note at the market's website.) After taking some time to restock, the market and deli will reopen on February 10. Reader Nadina F. (you can read her posts at the NFCA's Bits and Bites blog) wrote this week that at the Suburban Square Farmers Market in Ardmore Sushi Sei (120 Coulter Ave., 267-414-6226) can prepare special orders gluten-free sushi and has gluten-free ginger dressing and soy sauce available, while the expanded Di Bruno Bros. (484-416-3311) now carries Amaranth Bakery breads. 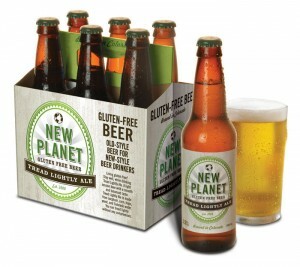 Besides Dogfish Head Brewery's new Tweason'ale, another new arrival to the gluten-free beer scene (in these parts anyway) is Colorado's New Planet Beer. Its three gluten-free beers - Off Grid Pale Ale, Tread Lightly Ale and 3R Raspberry Ale (bronze-medal winner at the 2010 Great American Beer Festival) - are now sold in Philadelphia at the Foodery (324 S. 10th St., 215-928-1111 and 837 N. 2nd St., 215-238-6077). The latter two are served at Wilmington's new Ernest & Scott Taproom (902 N. Market St., 302-384-8113). Also in Wilmington, Ulysses American Gastropub (1716 Marsh Rd., 302-691-3456) has Redbridge in bottles and Original Sin Cider on tap. Lots of new products to mention this week, including the new gluten-free/dairy-free granola from Philly's own Metropolitan Bakery, which I wrote about on Tuesday. 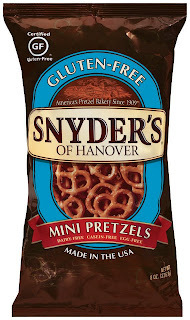 The best gluten-free pretzels (in my humble opinion) now come in a new style. 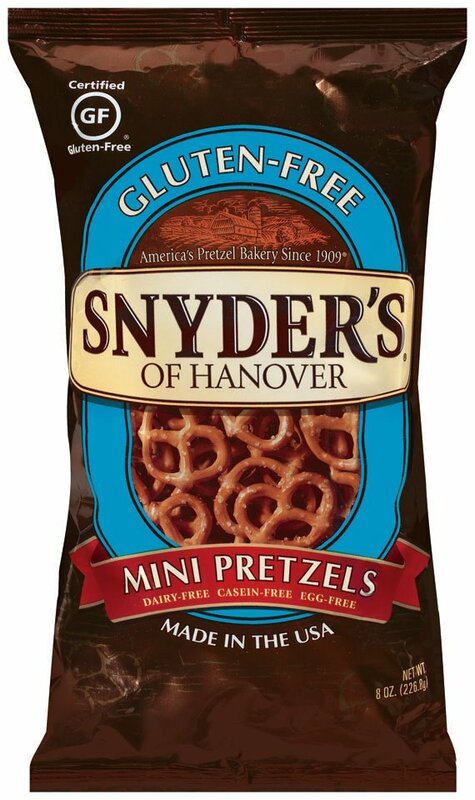 Snyder's of Hanover has introduced traditional twisted mini pretzels. They are making their way to stores now; I picked up a few bags at Whole Foods in Marlton. 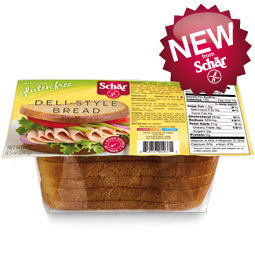 Dietz & Watson's latest addition to its gluten-free cold cuts line is Chicken Parmigiana, coated in corn flour crumbs, parmesan cheese, italian seasonings and topped with a marinara sauce. The ShopRite markets in Marlton and Cherry Hill/Evesham now carry Katz Gluten Free's donuts (which I reviewed earlier this month) and pies, while the sister location at Garden State Pavilion in Cherry Hill will be expanding its gluten-free product selections. Coming soon to those stores will be Schar's new deli-style bread and multigrain ciabatta rolls. If you're looking for late-breaking gluten-free news and area restaurant recommendations, like the Gluten Free Philly Facebook page and follow @GFPhilly on Twitter. I'll leave you this week with a video from Dogfish Head founder Sam Calagione, in which he talks about Tweason'ale. About those Katz donuts: if you order more than you think you'll eat in a few days and expect to freeze some: it will never happen! I buy them for my son, age 12, appetite like a shop vac. Our last order lasted less than a week, so I doubled it this time. Well, the box arrived before I got home today, and Mr. Shop Vac had eaten one and half boxes of the donuts before I even saw them! Donuts are new in his life (diagnosed young with celiac) and he's decided he likes them. I just hope Katz continues the free shipping deal! Which is a good thing because my entire family (who are not celiac) enjoy these pretzels also and we go through a lot of them!